Best prices always paid - we won't be beaten! Our premises have been designed with our customers in mind. Easy in and easy out - we won't hold you up. Not all our customers come to us. With secure lockable containers, we can regularly collect from your site making it a convenient way to recycle. 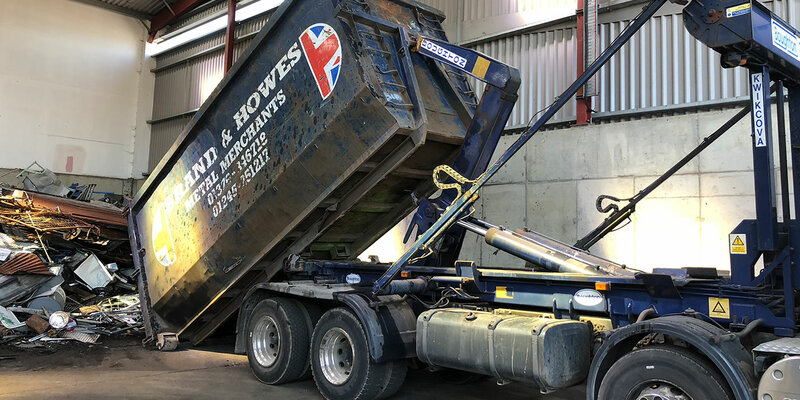 Brand & Howes Environmental are professional scrap metal merchants, offering a comprehensive and reliable service to customers across Braintree, Brentwood, Chelmsford and the surrounding areas. We have over 70 years of experience in the industry, and can perform metal recycling services to the highest standards. Customers can bring metal to us or can take advantage of our prompt scrap metal collection service for complete convenience. All our metal recycling processes are carried out in the most environmentally friendly manner possible, and we also offer full scrap car collection to ensure your vehicle is disposed of responsibly before the end of its life. Whether it’s one-off recycling of disused steel, or regular copper recycling for commercial or industrial businesses, our friendly staff are always on hand to help. If you’d like to find out more, or would like to arrange the delivery or collection of your scrap metal, contact us today.